Visas are not required by nationals from Armenia, Austria, Azerbaijan, Belarus, Belgium, Bulgaria, Canada, Croatia, Cyprus, Czech, Denmark, Estonia, Finland, France, Georgia, Germany, Great Britain, Greece, Hungary, Iceland, Ireland, Israel, Italy, Japan, Kazakhstan, Kyrgyzstan, Latvia, Lithuania, Luxembourg, Malta, Netherlands, Norway, Poland, Portugal, Romania, Russia, San Marino, Slovakia, Slovenia, Spain, Sweden, Switzerland, Tajikistan, Ukraine, UK, USA and Uzbekistan. Otherwise, they should go to embassy with required documents to obtain a visa. For further information please contact us. This visa allows the foreign citizen to transit the international zone of an airport of the Republic of Moldova, without entering the territory of state, at a stopover or a transfer between two sections of an international flight. For further information please contact us. There are to transit visa. one for tourist that would like to change the flight and no need to enter the country and other, when a foreigner who pass the territory of the Republic of Moldova on his way to a third state. For further information please contact us. If you would like to enter and stay in Moldova less than 3 months for purpose of holidays, short course, or business meetings, you can apply for a short stay visa. For further information please contact us. If you would like to enter and stay more than 90 days and also, you are not from Schengen countries, you should apply for long term visa with some documents to show your purpose. For further information please contact us. If you would like to study in Moldova, you should apply in any university in Moldova and get offer letter. Next with relevant documents, you should go to embassy to get a 3 months visa to enter and register in university or collage and deliver your passport to immigration counter in your collage to put in process for 1 year or more visa. For further information please contact us. If you would like to work in Moldova country, you should find an employer there to interest to your experience and educational. otherwise, you should register a company and get visa as manager or employee. For further information please contact us. 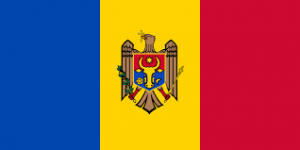 According to the Banker, Moldova is the 5th country in world with lowest exposure to the current financial crisis. Top 4 countries in the ranking are Norway, Russia, Kuwait and Singapore. Moldova is ranked 5th as its banks have high capital-to-asset ratios and low levels of lending. Today, one of the most interesting objects for investment in Moldova is real estate. 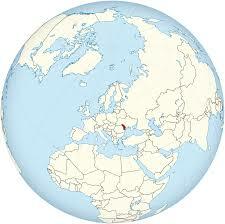 This fact it is grasped by both the Moldovan and foreign investors. For further information please contact us.